Nigel is a conservator of natural history specimens specialising in the excavation, preparation, conservation, curation, storage and display of geological, palaeontological, archaeological and osteological material. He uses his blacksmithing and welding skills to make bespoke mounts for displaying museum specimens (up to the size of Asian elephants and Fin whales!) and also undertakes the moulding of museum specimens to produce high quality casts. 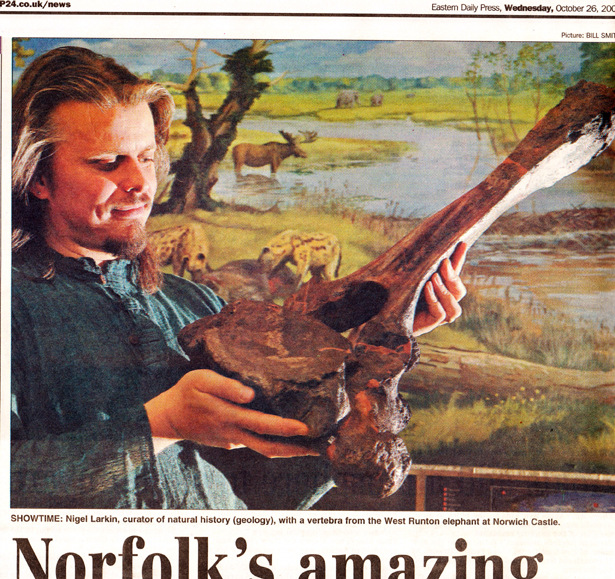 After completing his undergraduate degree in Environmental Sciences, Nigel worked for five years as a conservation scientist in the Palaeontology Conservation Unit of The Natural History Museum, London. 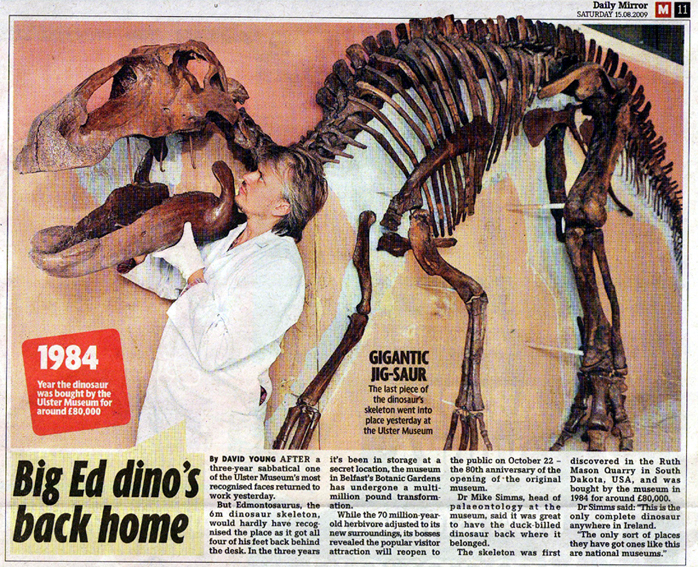 The two main projects that he was contracted to work on were the conservation and redisplay of a large collection of scientifically and historically important Jurassic marine reptiles and the preparation, conservation, mounting and installation of fossil material and casts for the dinosaur gallery which opened in 1992. During this time he learnt a great deal about the conservation of natural history specimens and the care of museum collections. 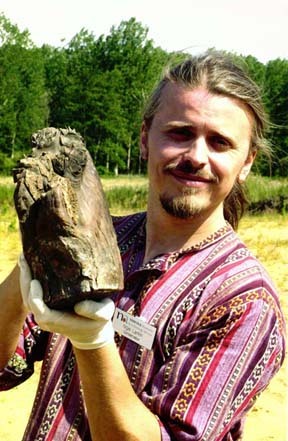 He also gained a Master of Science degree in Vertebrate Palaeontology at University College London, studying part-time. 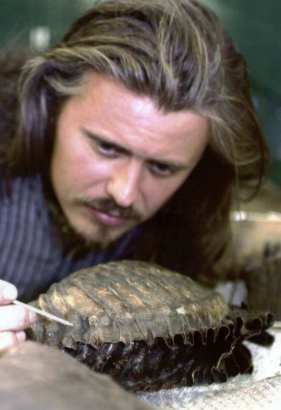 In general his duties and responsibilities at the NHM included: undertaking relevant preparation and remedial and preventive conservation of all types of palaeontological material; the replication of fossil and sub-fossil material in a variety of media for display and research; the installation of fossil and replica specimens into new exhibitions; responding to emergency conservation needs; and providing conservation advice to staff of the Palaeontology Department and Exhibitions Department. After working there full time for five years his project-funded contracts came to an end, but he still occasionally works for the Natural History Museum in a freelance capacity. 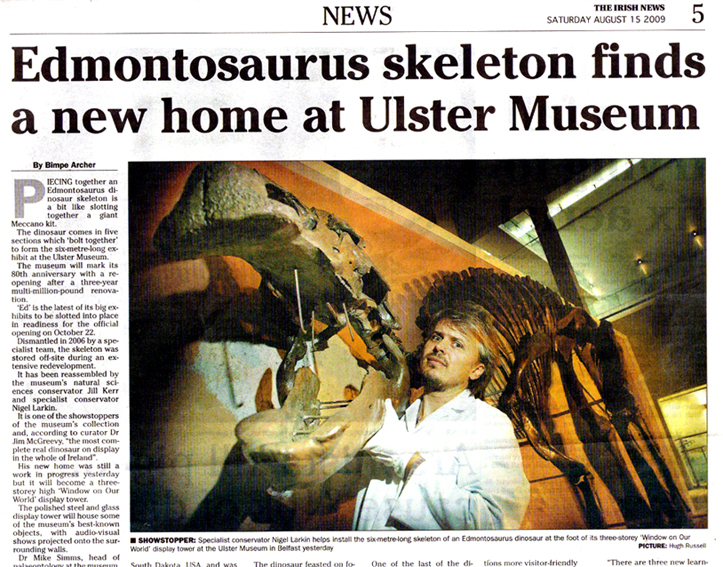 He has assisted the Engineering Section of the Exhibitions and Education Department in mounting and installing geological material in the Earth Galleries exhibition, assisted in installing the travelling Kokoro robotic dinosaurs and has helped to organise major palaeontological excavations abroad (as site manager) for the Natural History Museum on several occasions. 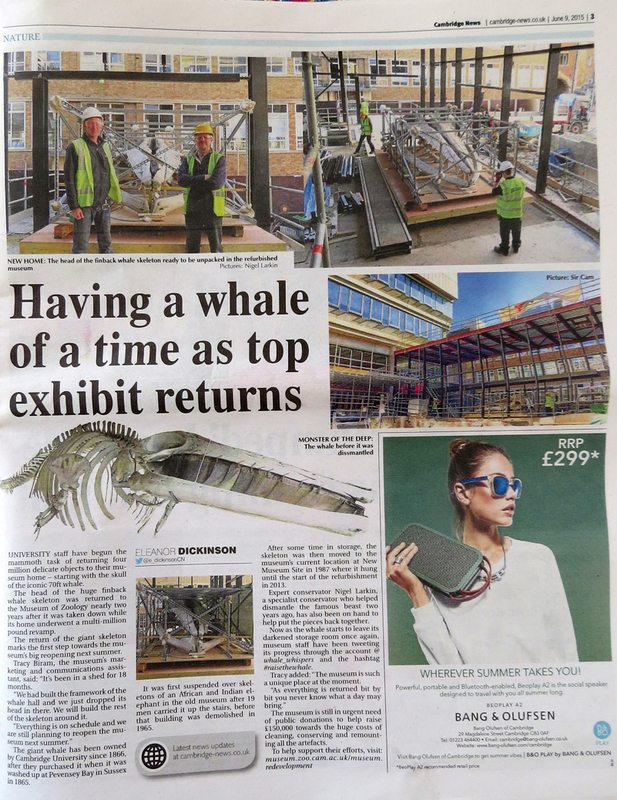 After leaving the NHM, Nigel's next major contract was to manage the West Runton Elephant Conservation Project for Norfolk Museums and Archaeology Service. This was externally financed by the Heritage Lottery Fund. 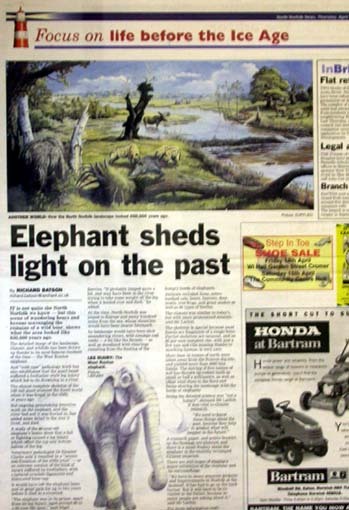 He was responsible for designing and implementing the remedial and preventive conservation strategies and the curation of the West Runton Elephant and associated fauna (several hundred very important sub-fossil Pleistocene specimens). 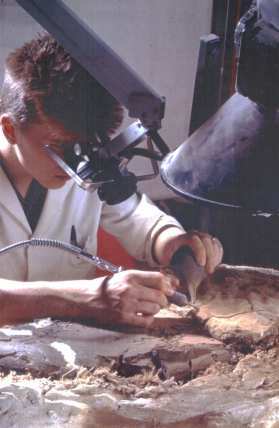 This included creating a new lab facility, managing staff and volunteers, creating temporary displays, delivering talks to the public, attracting funding, creating risk assessments, curating the material, moulding bones and casting replicas for research purposes, testing materials and publishing conservation research. Other departmental duties included: advising the Museums Service and general public on geological and palaeontological conservation and general natural history conservation; conserving and installing specimens as part of the £12million Norwich Castle Museum Redevelopment Project (HLF funded); advising on and undertaking preventive and remedial conservation of the geology collections and other natural history collections; identifying geological specimens; undertaking collections surveys; undertaking training of staff and public in conservation issues; and installing and maintaining various environmental monitoring systems. 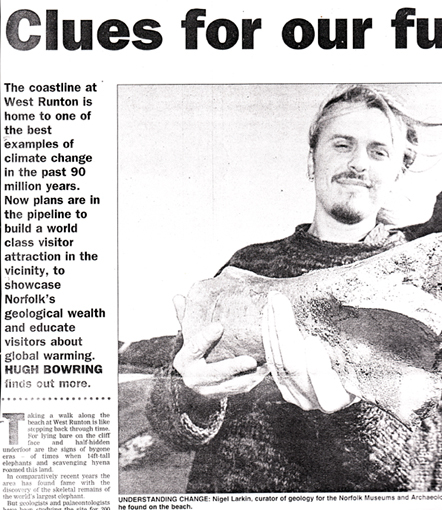 After the West Runton Elephant Conservation Project was completed, Nigel was the Curator of Geology for Norfolk Museums and Archaeology Service for several years. By then Norfolk Museums Service was the Hub museum service for the whole of the Eastern Regions. This position involved further experience in remedial conservation and preventive conservation projects, curation, documentation, conservation assessments and raising funds. Nigel worked as a conservator and curator in national museums or regional museums services for over 20 years, and in addition undertook a variety of freelance projects in his own time during this period. Now he works in a freelance capacity full time, mostly at home in Shropshire where he has a conservation studio. Freelance work As well as Norfolk Museums and Archaeology Service and the Natural History Museum, Nigel has worked for the BBC and Channel4, worked in the Antarctic with the British Antarctic Survey for a season and was site manager for fieldwork in Gibraltar for a month each year for four years, excavating Neanderthal sites with The Natural History Museum. Recently he has also undertaken conservation work for the Abu Dhabi Islands Arcaheological Survey, the Oxford Archaeological Unit, Kent County Council, The Norfolk Archaeological Unit, Bradford University's Department of Archaeological Sciences , Durham University's Department of Biological and Biomedical Sciences, Somerset Museum, Bedford Museum, Dorset County Museum, Birmingham Thinktank, the National Museums of Northern Ireland , Hancock Museum, York Museum Trust, Cambridge University Museums, The National Trust and various individuals with private collections. He has worked as an excavator and site conservator on some internationally important excavations in recent years including: the famous Swanscombe site in Kent; Happisburgh and Pakefield, on the coasts of Norfolk and Suffolk - The oldest hominid sites in the whole of North and West Europe; a new site at Norton Subcourse shedding light on a hitherto unknown warm period in the early Pleistocene; and the very best Neanderthal site ever to have been found in the UK (at Lynford, Thetford Forest) which he discovered together with John Lord. Nigel recently completed a part-time Masters Degree in 'Architecture: Advanced Environmental and Energy Systems' with the University of East London and the Centre for Alternative Technology. This is to enable him to provide advice to museums on how to conserve their energy with low-cost, low-tech solutions to reduce their carbon footprint and lower their energy costs. One tool he uses for assessing museum environments including analysing display areas and collection storage areas is an infra-red thermal imaging camera. Until it merged with the Biological Curators Group to form the Natural Sciences Collections Association (NatSCA), Nigel was a committee member of the Natural Sciences Conservation Group (NSCG). He is now a member of the NatSCA Conservation Committee and a member of the Geological Curators Group Committee. He is also currently a committee member of, and is a former President of, the Geological Society of Norfolk and is a fellow of the Royal Geographical Society. 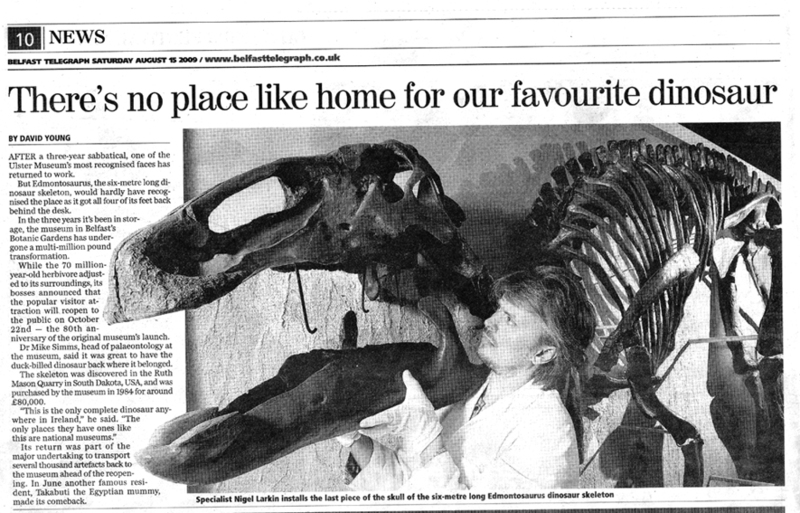 He is also a member of the Institute of Conservation, the Museums Association, The Society for the Preservation of Natural History Collections, the Care of Collections Forum, East Anglian Conservators' Forum, the Quaternary Research Association, Shropshire Geological Society and the Earth Science Teachers Association. He is also a member of the British Artist Blacksmiths Association and has qualifications in MIG welding. 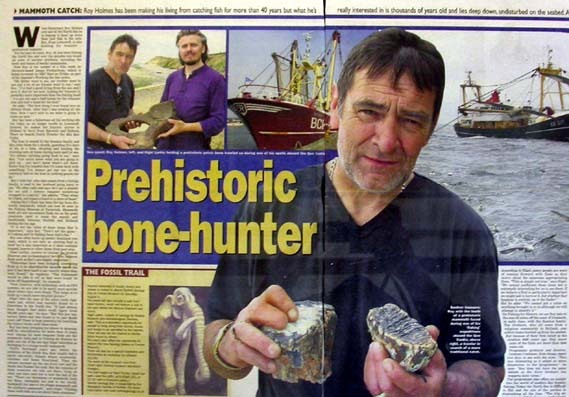 He is an 'Affiliated Researcher' at Cambridge University's Museum of Zoology and an Associate Member of the 'Ancient Human Occupation of Britain Project'. Nigel Larkin has worked with Bernard Cribbins, Jonny Vaughn, Nigel Marven, Tony Robinson, Bryan McNerney, Phil Harding, Helen Geake, Bill Oddie, Adam Hart-Davies, Simon King, Chris Packham, Alice Roberts, Aubrey Manning, Jessica Holm and Hermione Cockburn on such TV programs as Moviewatch, Coast, Fossil Detectives, The Natural History of Britain, Springwatch Special, Live From Dinosaur Island, Fishing For History, Prehistoric Park, What Prehistory Did For Us, The Museum of Life and Time Team Specials and he has presented various episodes of ‘Inside Out’ in the Eastern Region. 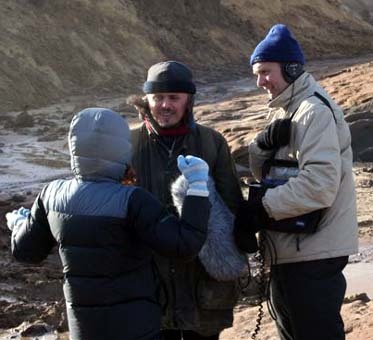 He has also worked on various BBC Radio Four programs such as Fascinating Deaths with Jessica Holm, Unearthing Mysteries with Aubrey Manning, Making History, Open Country and the Prehistoric Handbook amongst others, plus America’s National Public Radio (NPR) and has been interviewed on local radio stations numerous times. For further details see below. In the course of his work he has also had the pleasure of meeting: Princess Diana, Princes William & Harry, David Attenborough, Jeff Goldblum and Ray Harryhausen amongst others. 1994: ‘Def II’, a BBC2 programme about stereotyping ‘scientists’. 1990-1995: Various documentaries and news reports when working at the Natural History Museum, London. 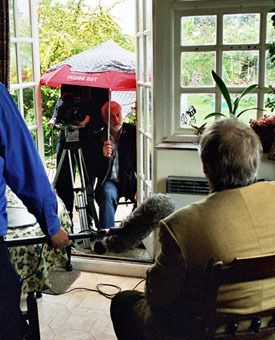 1990 to the present: Various interviews for local news stories in London, York, East Anglia etc. 1993: Moviewatch (Channel 4), reviewing the first Jurassic Park film, in 1993. See below! 1997: National Geographic Neanderthals programme. 2000: Made props (including a full-size articulating Neanderthal skeleton) for Wall to Wall TV’s ‘ Neanderthal’ documentary. 2001: BBC’s Live From Dinosaur Island. "Sunday 10 June 2001 saw the start of a new television series on BBC2 - Live From Dinosaur Island, a live broadcast of Britain's biggest dinosaur hunt. In 6 days, the palaeontological team hunted for at least five different species of dinosaur in six different sites on the South-West coast of the Island. The programmes were 60 minutes each, being broadcast on Sunday, Monday, Wednesday and Friday, with an 'omnibus' edition on Sunday. It was also 'narrowcast' live on the web at the BBC's dinosaur site”. 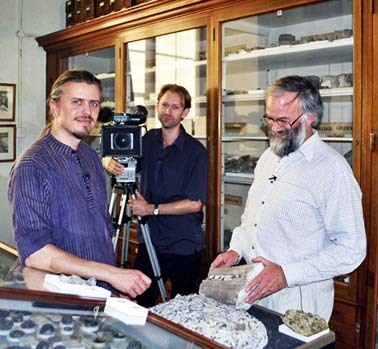 As well as running the preparation and conservation lab to clean material coming in from the six excavation sites (he supplied all the equipment, materials and volunteers for this, as well as organising elements of the excavations), he also presented live to camera in each episode. 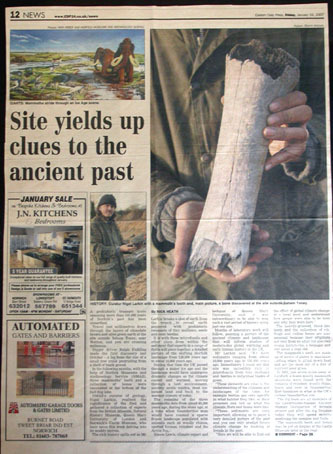 2003, January 13th: Presented a nine minute film which looked at some of the exciting prehistoric finds that had been unearthed in Norfolk over the previous few years, for the BBC’s Eastern region’s Inside Out series. 2004: An advisor for the eastern region for sections of the BBCs Natural History of Britain series, recommending places to film and specialists to talk to etc. Also, he appeared in programme 3 (aired in 2005). 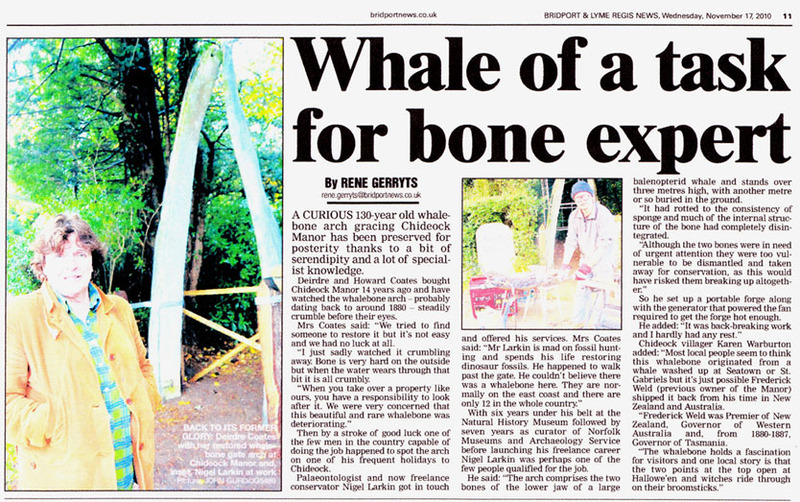 2004, Autumn: Presented a nine minute film about pathologically deformed bones found in the grounds of Gressenhall Workhouse Museum, for the BBC’s Eastern Region’s Inside Out series. 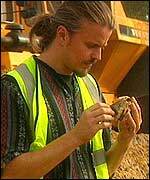 2003, June 2nd: Presented a nine minute film exploring the history of the coprolite mining industry in East Anglia, for BBC’s Eastern Region’s Inside Out series. 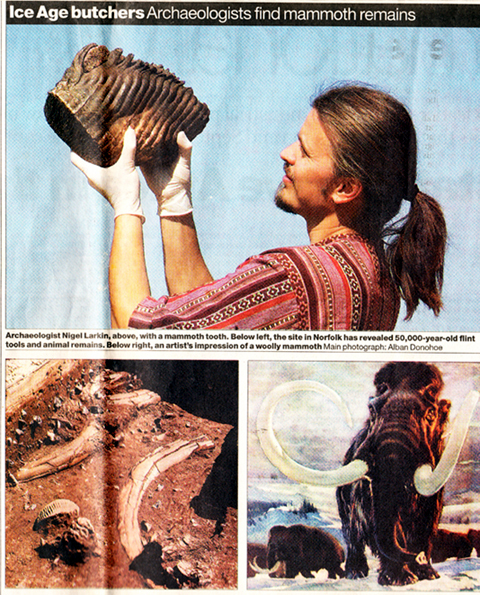 2005: Filmed with Alice Roberts for an episode of ‘Coast’, relating to mammoths and other fossils now found under the North Sea. 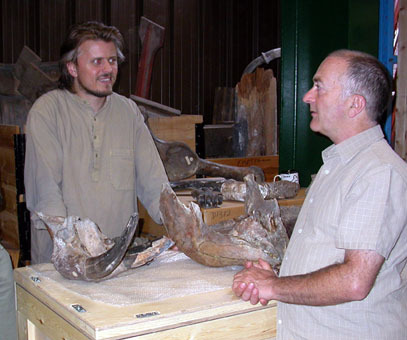 2005: Filmed with Nigel Marven about mammoths for Impossible Production’s ‘Prehistoric Park’ (aired in 2006). 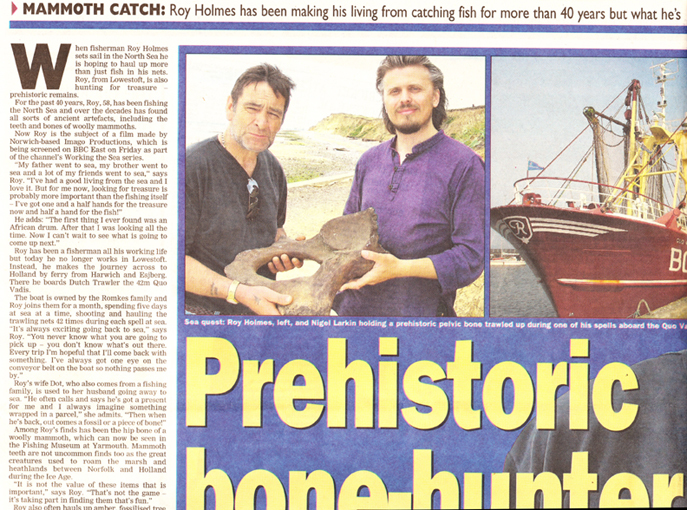 2006: Presented Imago Productions’ ‘Fishing for History’, shown on BBC1 on August 4th. 2010: Interviewed on fieldwork for ‘The Museum of Life’, the BBCs documentary series about the Natural History Museum in London. 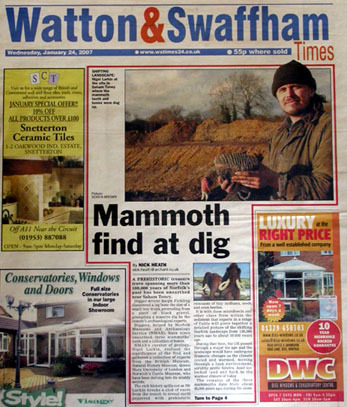 2007/8: An advisor for the eastern region for sections of the ‘Fossil Detectives’ series, and interviewed at length in one episode about the West Runton Mammoth. 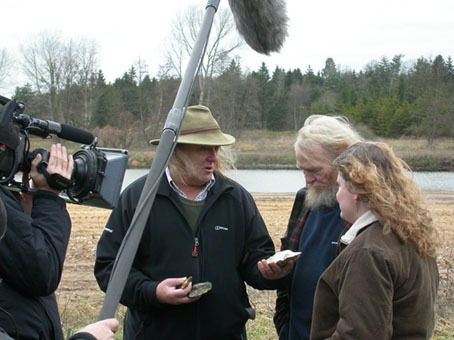 2007: Filmed with Tony Robinson and Phil Harding for a Time Team Special ‘Britains Drowned World’ about the Holocene sea level rise and the flooding of Doggerland. First aired on 24th April 2007. 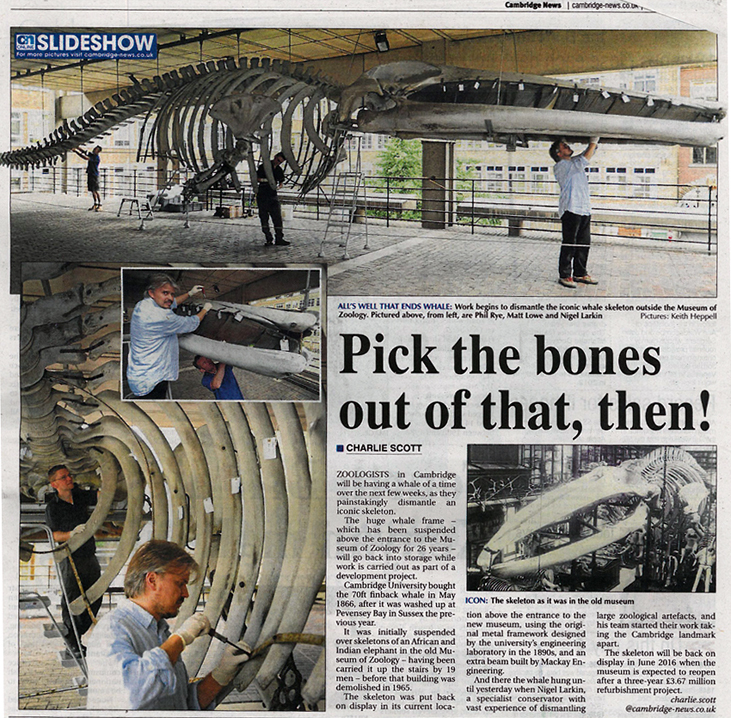 2007: Made a replica of an ichthyosaur skeleton for filming 'Ballet Shoes' for the BBC. 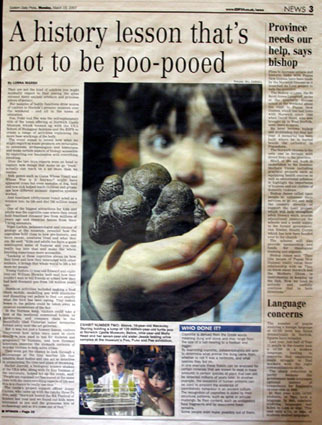 2011: Springwatch Christmas Special: Interviwed by Chris Packham about coprolites (fossil droppings). 2014: Interviewed whilst conserving giant deer skulls and antlers at a National Trust property in Northern Ireland for 'Mount Stewart Restoration' (aired in Ireland in 2015). 2017: February 15th: Interviewed for a report on 'Midlands Today' regarding the restoration work on the geology gallery at the National Trust property Biddulph Grange. 2017: February 28th: Interviwed for 'Secrets of the National Trust' (Channel 5) regarding the restoration work on the geology gallery at Biddulph Grange. 1995 to the present: various live interviews on local radio, particularly Radio Norfolk and Radio Suffolk. 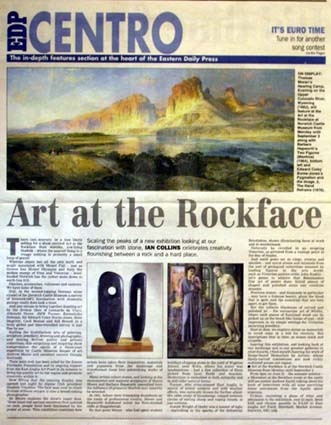 June 2004 (repeated in 2006), Radio 4: Prehistoric Manual. Mike Pitts - the editor of British Archaeology - sheds light on the lifestyles of our forebears by recording on location around Britain and in America. He brings together professional archaeologists with present day crafts people to compare ancient and modern techniques for survival. The series pits reconstruction and theories from people who are interested amateurs against the evidence gathered by archaeologists. Programme 5: The Killing Machine: What can a big game hunter today tell us about how the woolly mammoth might have been killed? 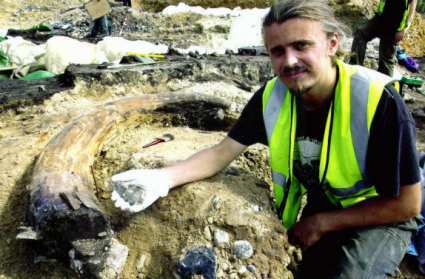 An excavation in Norfolk has revealed the best site for mammoth remains in Britain. The archaeologist Bill Boismier and the geologist Nigel Larkin discuss their findings and Mike Pitts also canvasses the views of the owner of a South London gun company Paul Roberts. 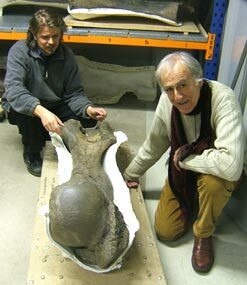 Tuesday 11th of April 2006, Radio 4: ‘Fascinating Deaths’ – an update on research into the life and death of the West Runton Elephant: on Radio Four. In the first of a series of programmes called “Fascinating Deaths’, Jessica Holm turns detective to investigate an ancient but mysterious incident preserved in the fossil record. 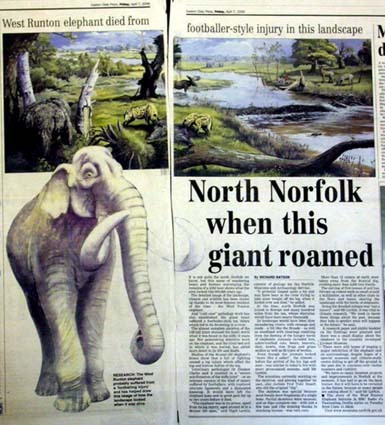 She learns about the fascinating life and death of the West Runton Elephant, a mammoth that came to a sticky end in Norfolk 700,000 years ago. He was in his prime at forty-odd years old and stood four and a half metres tall, weighing ten tons - twice the weight of a modern male African elephant. So why did he meet a premature end? 3rd April2007, Radio 4: Making History' about the fossils from the Forest Bed at Happisburgh, Norfolk. July 2006, Radio 4: Open Country about the West Runton Mammoth, the ancient archaeological site of Happisburgh, 'Seahenge'(the Bronze Age timber circle at Holme), Coastal erosion and climate change. 19th December 2006, Radio 4: ‘Unearthing Mysteries’ with Aubrey Manning. Programme 2: Who were the first human inhabitants of Britain? Over the last few years, a group of scientists headed by Chris Stringer of the Natural History Museum have been trying to find out as part of AHOB – the Ancient Human Occupation if Britain project. Aubrey Manning visits the Norfolk coast to look at the latest evidence. 2007: USA National Public Radio for Morning Edition: an interview about ‘Climate Change’ and Norfolk's past landscapes. 2008: Radio Scotland’s programme 'Darwin's Garden'. 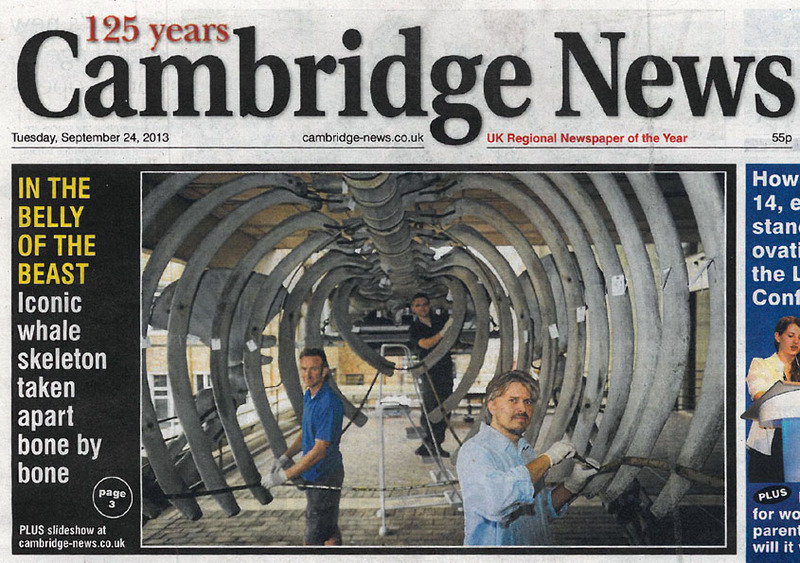 23rd September 2013: Radio Cambridgeshire's Breakfast Show regarding the dismantling and conservation of the 70-ft long Finback Whale skeleton.